The Polish-Jewish composer Mieczyslaw Weinberg (1919-1996), who lost his family due to National Socialism, fled to Russia and was again later subjected to Stalinist persecution, was one of the unjustly forgotten composers of the 20th century until recently. He left behind a considerable oeuvre, and with an impressive renaissance during recent years, including an acclaimed production of 'The Passenger' at ENO, he is now considered one of the most important composers of the Soviet Union alongside Shostakovich and Prokofiev. 'The Idiot', based on the novel of the same title by Dostoyevsky, is Weinberg's final opera, composed during the mid-1980s. The plot: the young Prince Myshkin returns to St Petersburg, penniless after many years spent in a Swiss clinic. On the train he meets the rich Rogoshin, who is driven by a dark passion for Nastassia, a 'fallen' woman. The unstable Prince, lacking contact with reality due to his illness and naively believing in the goodness of human beings - portrayed as a kind of Russian Don Quixote, also falls in love with Nastassia, but in a different way: he wishes to save her. Between her and the young Aglaia, he himself becomes part of a network of material and sexual dependences, wounds, obsessions and the incapability of forming a relationship, finally ending in Rogoshin's murder of Nastassia. Myshkin freezes in the arms of the murderer in a state between madness and tenderness. 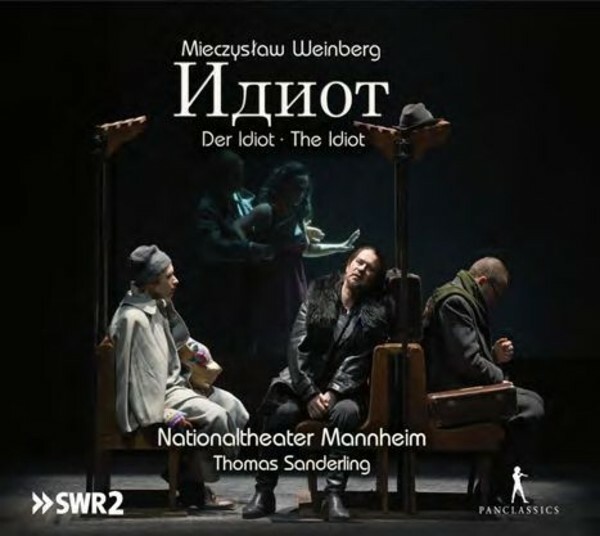 This live recording from the Mannheim National Theatre in 2014 documents the production with which Weinberg's 'Idiot' had received its world premiere one year previously in Mannheim, unanimously celebrated by audiences and critics alike. The renowned specialists' journal Die Opernwelt named the production 'World premiere of the year'. This is one more successful Weinberg premiere by Thomas Sanderling in what may turn out to be a whole series.